I'm not sure what it'll weigh in at.... As I remember, some installs come in around 170-180 with everything. Mine will be more than that though with a heavier mount and accessories. I hope it weighs in 25 to 35 lbs less than the subaru did (NSI paperwork puts the fwf subaru at 225lb). Will report numbers down the road when all my stuff is in there. I'll be following this thread as I'm sincerely interested in this conversion. I have Subaru now and so far so good. But would really like to shed some weight. Very informative thread thank you. I agree, that's my concern but really, my only concern is the high Rpms to achieve the hp. 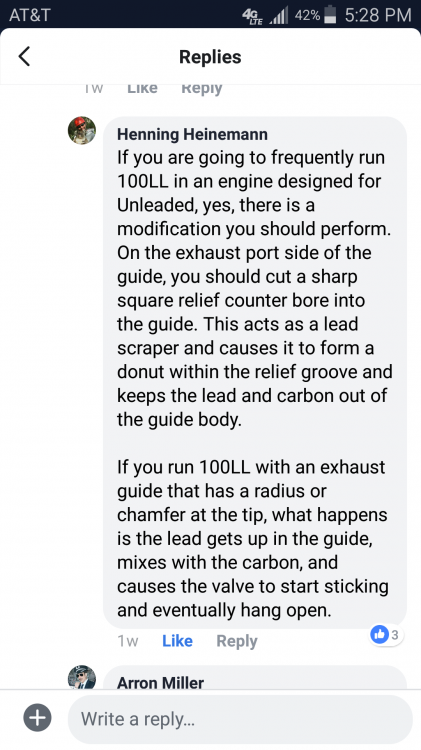 I'm just really trying to find a way to achieve more useful load without going back to 2 stroke. My plane is totalling 722lbs and with two of us flying there's limited space left for fuel. Subaru car runs avg 2800 rpm and what maybe 60ish hp avg cruising along at highway speeds. The Subaru in airplane works much harder for sure, and is typically modded up for more hp, which I find troubling. The yamaha on the other hand runs 10,300 rpm in a snowmobile and the R1 motorcycle that the engine was born from raps out 15,000! Stock HP is 140, but sled guys run turbos in the 200+ HP range with very reliable results. It therefore, conversely to the subaru, is running detuned in the airplane (which I find comforting) at about 9200 rpm and is internally geared at 1.19 to an output shaft rpm of 7700 and 125-130 hp. The snowmobile guys have reported it very reliable with many machines over 30,000 miles (approx 1000 hrs at an avg speed about 30-35 mph) and mote than one example with over 100,000 miles. That can be contrasted to the generally accepted rebuild time for a 2 stroke snowmobile in the 6,000-9,000 mile timeframe. Is the RX-1 perfect in the snowmobile? NO. Do they break down or fail in the snowmobile? Rarely, but yes. But so would some Subarus that were modded up for more hp by shaving heads and changing cams (as I understand my 118hp NSI e-81 was). Especially if that modded subaru car was pushed for near max hp for 10 min straight like it often is during takeoff and climb in an airplane. Yes, sooby lovers, they do do well in airplanes, but they are not perfect either! So along those lines of thought I found more comfort in the Yamaha over a Subaru (detune vs. "uptune"). The big question then was how about yamaha over rotax (912/914). To that I entirely concede that a 80 or 100 hp rotax has an outstanding reliability factor, with decades of data to back it up. Problem for me is that I want to run a continuous 100 hp, with 130 available to get off the water and over the hill on the other side of the lake. Rotax wouldn't do that unless I did a zipper type kit. 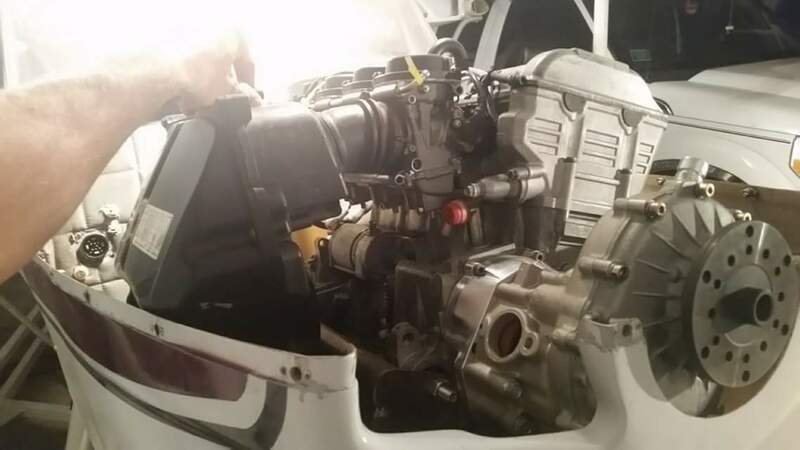 But a zipper kit strips the top half off that ultra reliable rotax and replaces it with aftermarket parts... and again we are trying to get MORE out of an engine than it was designed for, instead of detuning from it's design. That (zipper) was going in the wrong direction for my taste, and also way out of budget. So then along comes Steve Henry. 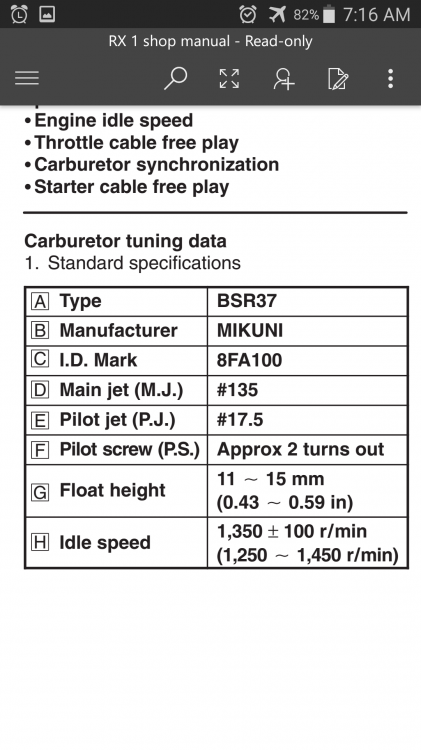 The first big name to run the RX-1 in a fixed wing plane, tune it correctly, push it hard, and prove it out. Teal's kit had been out for a few years (run mostly in gyros) and the motor and c gearbox proved to hold up well, then Steve proved it for us airplane guys and worked out some important details along the way. With steve now at about 500 hours between his yamahas, and 20 or 30 other skytrax conversions along with approcimately 100 other Yamahas out flying, so far we have no reports of engine failures and only two reported significant malfunctions, both in the rotax c gearbox due to improper assembly on one and the pinion shaft bolt coming loose on the other. 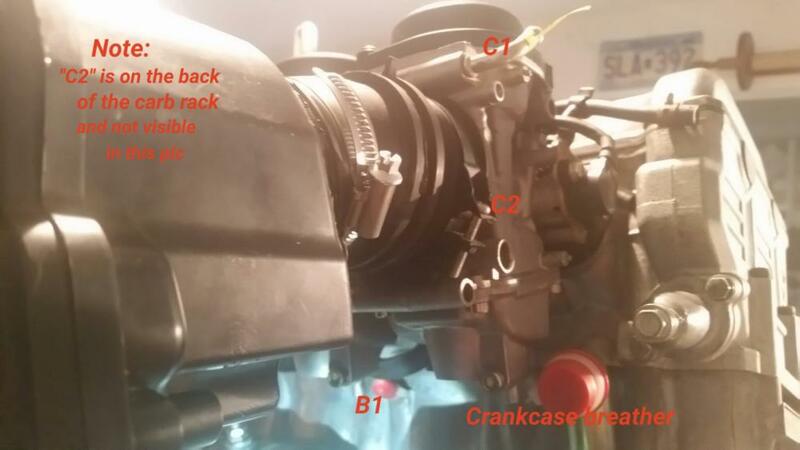 In both cases, the gearboxes held up for some time before the problem was noticed and the pilot did not suffer power loss. So the track record in the air has been very very good so far. Been waiting for the mount to come back from the welder, so I've been digging into other things on the plane. One is wiring ignition power to the ECU. There is a single wire for that and I believe it is the only power source to the ecu, making it critical to keeping the engine running. I decided to power it from two sources, each switched and CB protected. One source will come directly off of the engine magneto (alternator coil), prior to the main fuse for the charging system. 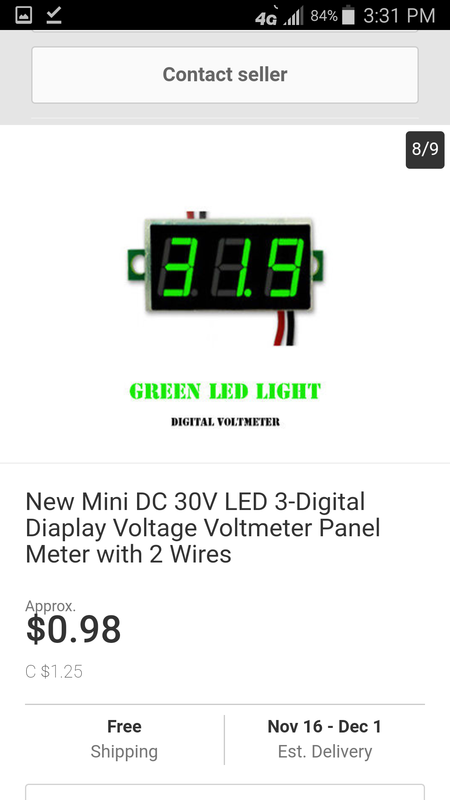 The other power source will come from hot battery direct. I will put a surge protector on the magneto side in case the engine's voltage regulator were to fail. I will also will diode protect each power source to prevent backfeed if I get down to one source (example that if the magneto were to fail I would want to switch the master off to conserve the battery, but would not want my panel being fed backwards through my ignition hot battery wire). So that is my plan. Any electrical engineers out there (or just people smarter than me!) please speak up if you see me going wrong! How is the project coming? Do you have a list of thing you took off the sled ? A motor and computer purchase , or should I buy a complete sled? Since the RX-1 ECU needs a power source to keep the engine running, I put in a low voltage alarm in to warn me of any battery / charging problems. The low voltage alarm has two leds, green when above threshold, red with loud alarm when below. Threshold can be set to any value with a smal pot adjuster. 1. You can give the motor a little run time, pre-tune it, and make sure it isn't about to throw a rod or something. Airbox, oil tank, oil lines, thermostat housing, coolant overflow, coolant hoses, exhaust flanges (flex type), wire harness, ECU, voltage regulator, fuel pumps, starter solenoid, and a few others that I'm forgetting here and will edit in later. Some of that stuff you will use, some you will not. But it is really nice to have a pile of options to work off of and modify to work. And 3, you will have a reference on how all the little things are set up and routed (like carb heat lines, oil lines, ect) Hopefully this build thread will detail all of that as I go, but there have been times where it has been nice for me to run out to my RX-1 snowmo and peek under the hood as the "cheat sheet"! But there is a ton of work parting out a sled! 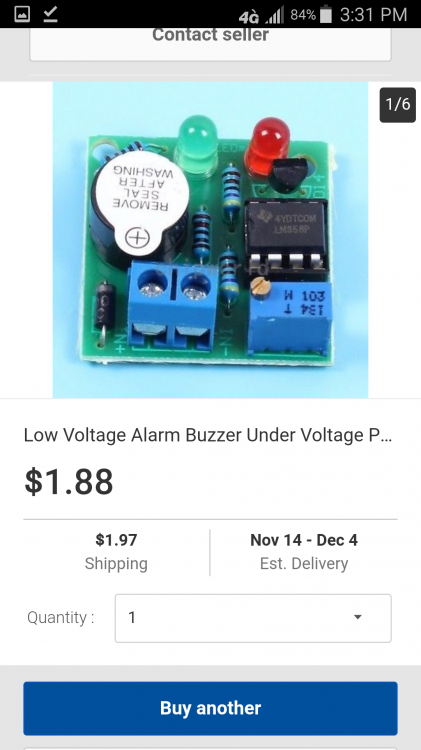 So if the right deal came up on a motor, you'd just want to make sure you plan some $ to ebay up any missing components that you might need. And that is a great thing about the Yamaha: parts are plentiful and cheap! Wish you live closer. Understand all the little parts, I have done a couple repowers. How did you get the primary drive off of the rx1 ? I tried the water method and a 4in 3 jaw puller no luck , what is the secrete? I was thinking of renting a bigger puller. you will need a clutch puller, Any sno shop in your area should have one that they will pro let you use. If not let me know Im sure I have one I can send you, that is if its the same one as the old two strokers use to use, which im sure it is. This is what they look like. If you try anything else you'll probably end up ruining the primary clutch. You just thread it through the primary and the smooth part goes into the end of the crank and pushes the clutch off the shaft. Don't use a cheapo one because the can bend and get stuck inside the crank. OK, I've got a couple updates here that I'll copy over from the Facebook group. First I'll post up some conversion tips I have learned from those who have built and flown the Yamaha, then I'll post up my (slow) progress in my build. The snowmobile airbox is large and difficult to fit under a cowl, but when it is used, the RX-1 jetting (135 mains) and setup is fairly close to final tune. 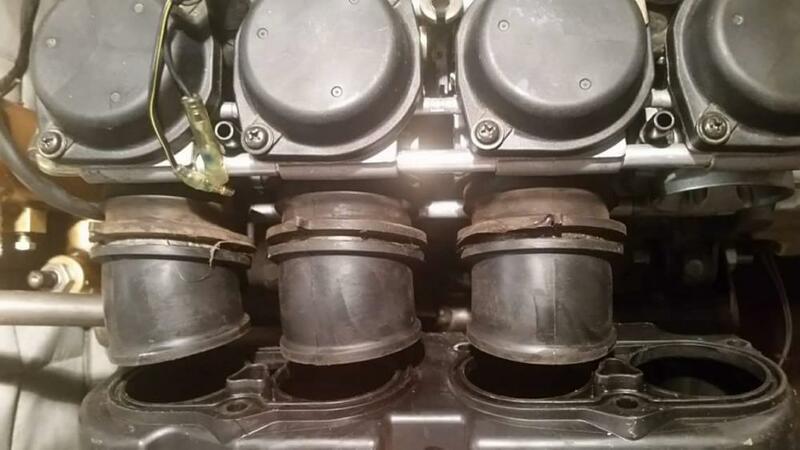 Typically, smaller custom airboxes are made and, generally speaking they tend to run leaner... requiring larger jetting (up to about 180 sized) to achieve the correct air to fuel ratio. An airbox is generally needed to buffer under cowl turbulence and allow for consistent pressure across the carb rack (RX-1). 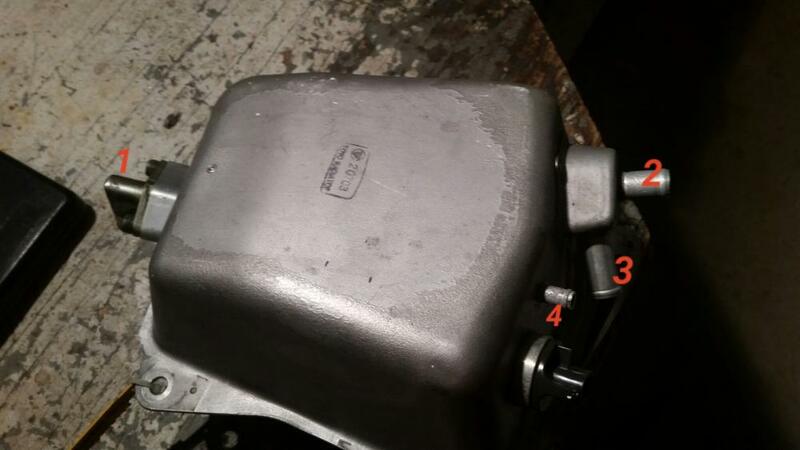 Individual filters on the carbs have been reported as highly problematic, especially at higher speeds / cowl pressures. Also the crankcase breather is vented into the airbox. It should be noted that when rerouting the float bowl vent lines into the airbox that you should have a way to allow for fuel overflow to exit the bottom of the airbox. 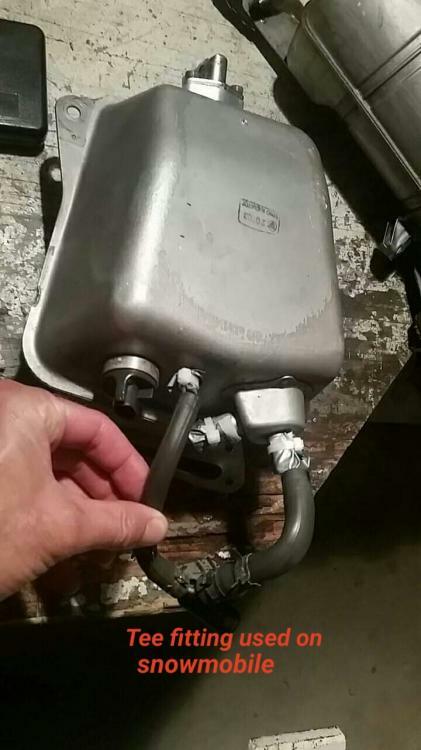 I have seen a stuck float in sleds where quite a bit of overflow comes out of those vent lines and you would want a way to evacuate that excess from the airbox and route it to a safe exit point. This airbox exit will also serve as a oil exit if any were to "burp" through the crankcase vent line in the airbox. I ended up going with an airbox off of the Yamaha R1 motorcylce (same engine block as the RX-1) and will make a seperate post on that. Header primary tubes (prior to collector) need to be as long as practical (24"+ ideally) and as equal length as possible. 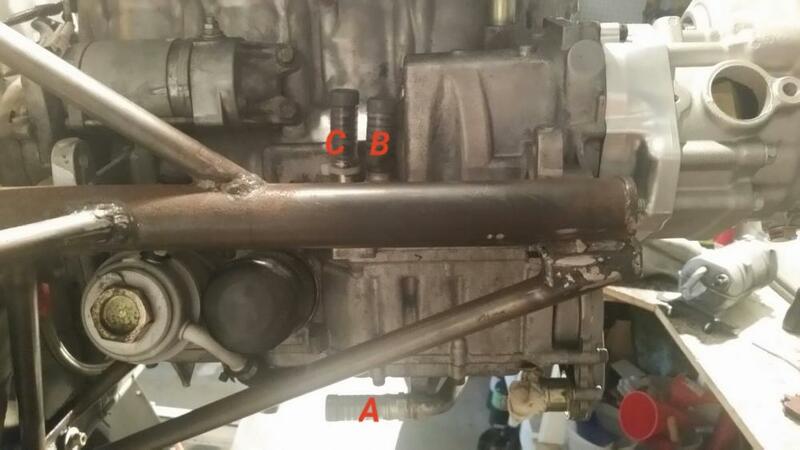 A 4 to1 collector is common in the R1 motorcycle header, snowmobile exhaust (which is later split to dual exhaust) and aircraft fabrication. 4-2-1 designs have also worked very well. The primary tube ID on the RX-1 is 1.28 and 1.38 on the R1 (which uses an EXUP type valve in the collector to "choke" at lower rpms). So there is a 1-3/8 size that is ideally used (It can also be found as a 35mm metric size). It comes out to a 1.37 OD and about 1.32 ID. Keeping proper tube dia, long (and equal) primary length, and smooth inner tube transitions will help throttle response. If you try to deviate from those things too much your run quality will likely suffer. Using a pre fabricated header off another vehicle can work well for non-cowled applications. For planes with a cowl, I found that the rework on any of these options outweighed a full custom fabrication. 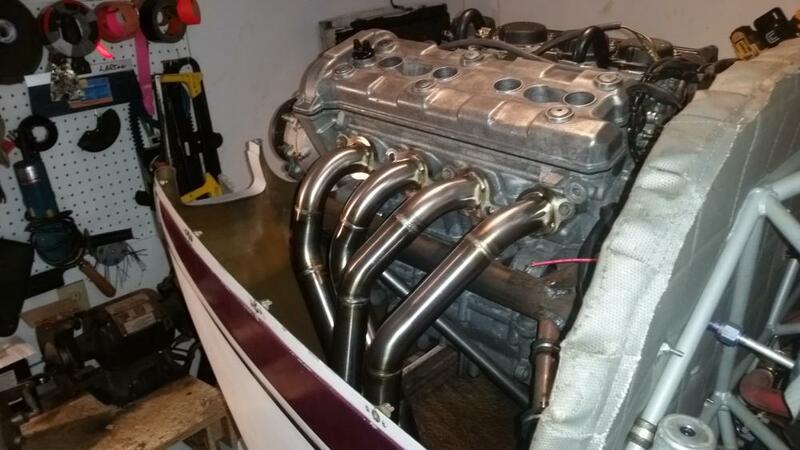 Some people have successfully used motorcylce headers such as from the R-1 motorcycle and 07-08 gsxr 1000. 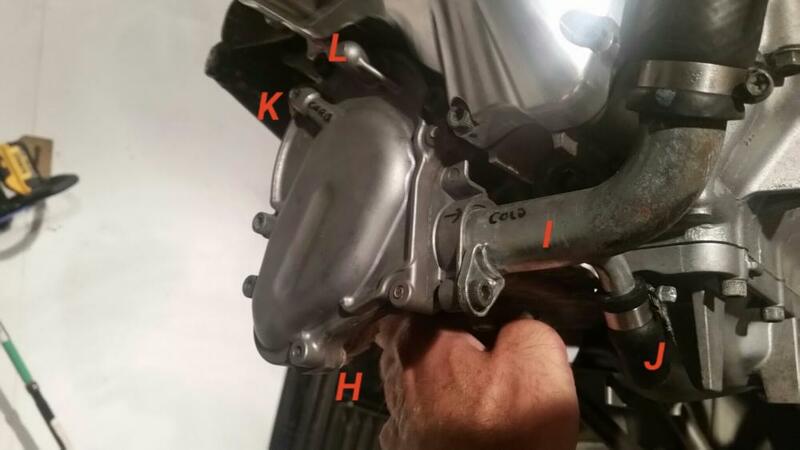 The motorcycle headers run about $50 on ebay but are sometimes made of titanium, so modifying them can be problematic. 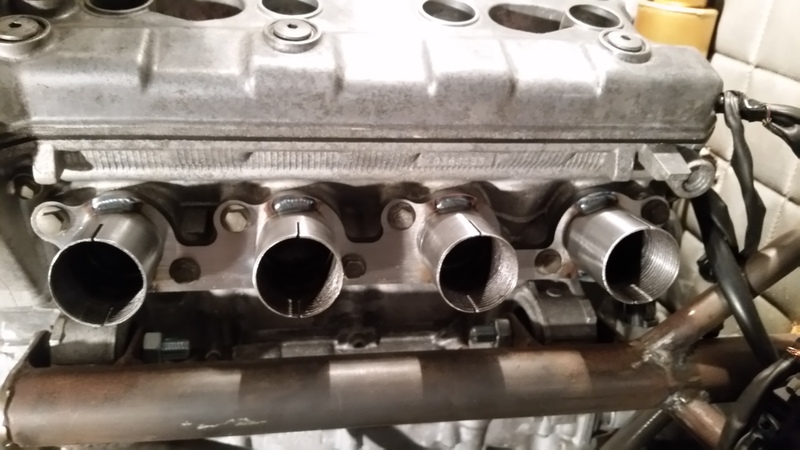 The 1990's Honda Civic headers have identical port spacing and are avail for $60 in steel and stainless steel but the tube diameter is a smidge on the large side which makes the "step up" transition from the snowmo flex flange output a bit problematic and there can be a little bit of throttle lag / hesitation when using tubes that are too large. 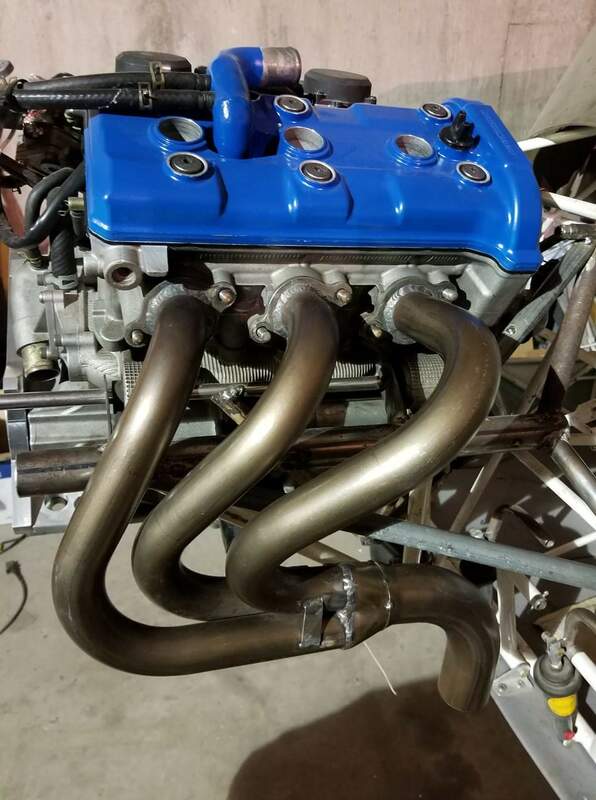 Suzuki samurai headers have also been used and line up well with the head, but like the civic header they do not bolt right up, so you have to cut them and weld in a flange adapters. If I were working with the civic or samurai header I definitely would buy the one piece header flange (with stubs) for the yamaha 4 cyl from GP Headers to save a ton of time and frustration getting these headers matched up to the head. Teals note: I have ran a few RX1 aircraft and noticed that a leaner idle (17-19) seems to work really well. I have found that if i set the AFR at 13-14) at idle it will have a little rough spot around 4500-5500 rpm. Ok. The RX-1 uses altitude compensating Constant Velocity (CV) carburetors. I'll let an expert explain how they work via the vacuum slides (yamaha calls them "piston valves") in front of the throttle butterfly, but generally speaking the vacuum slides have a spring that can be changed for tuning purposes, the main jets can be changed or drilled out to enlarge, the needle position (in the vaccum slides) can be raised and lowered, and the idle mixture adjustment made via a fuel screw. NOTE THAT IF YOU CONTACT HOLTZMAN, TELL THEM YOU ARE TUNING A "SNOWMOBILE"! 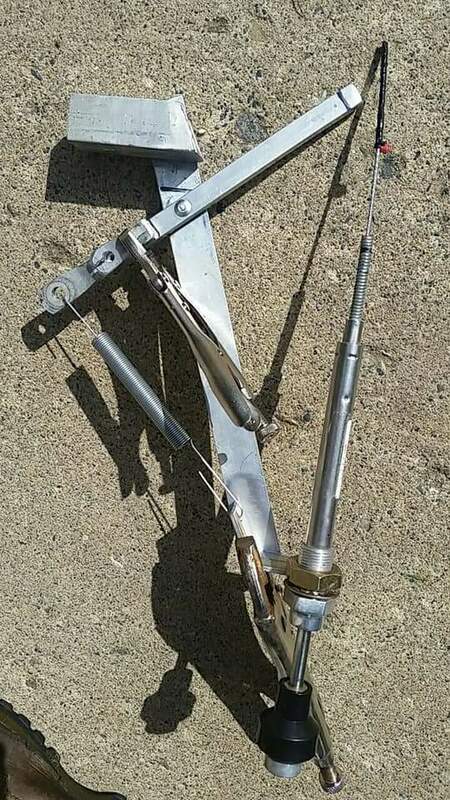 They don't understand experimental rules and are a little nervous about supplying parts for aero use. As far as drilling main jets, If you have a full drill index you can open your jets up. 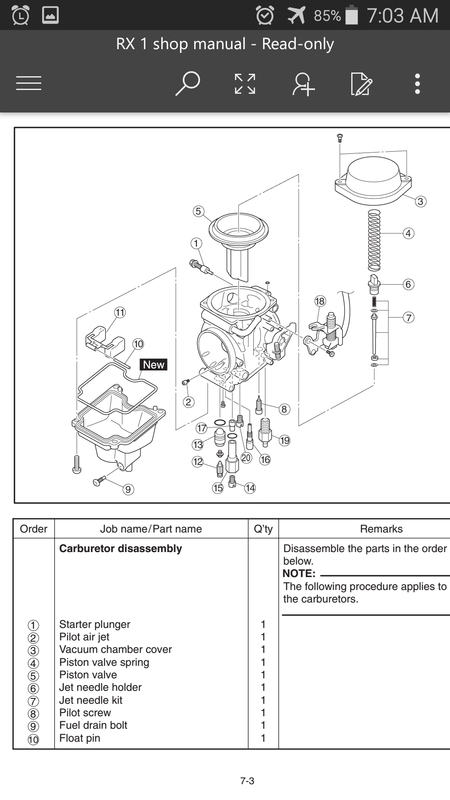 A 135 main jet is 1.35 mm in diameter or .051"
Teals note: These carbs have 3 jets. A idle jet thatvis normally a 17.5 (.175 mm) a main jet (stock is around 135) and a starter jet (choke or enficher circuit). 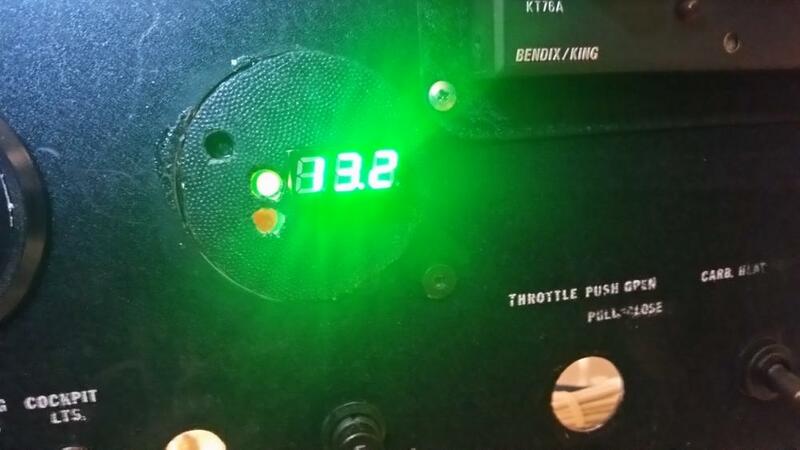 The idle jet is used up to about 1/4 throttle then the the needle positioning inside the the needle jet sets mixture. As the slide rises and the needle rises out of the needle jet (needle is tapered so the more it is pulled out the more fuel can pass) the more the main jet controls mixture. The main jet controls mixture mainly at 1/2 throttle and above. More so at 3/4 to wot. The needles have 5 positions just like most other carbs. Needle position is used for midrange tuning. 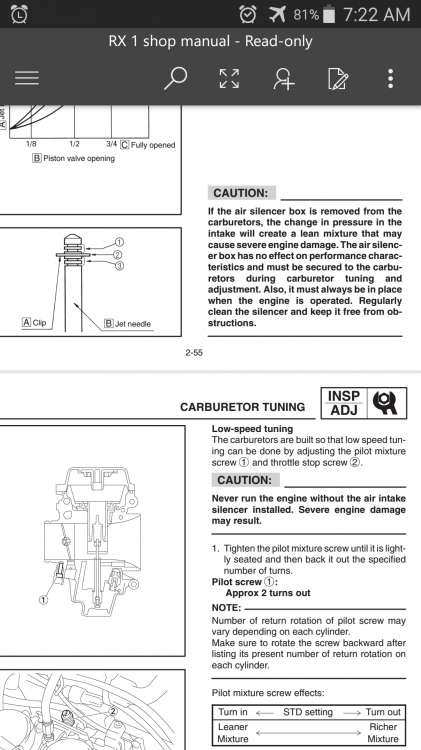 There is also a screw on the bottom of the carb that sets air fuel ratio at idle and just above idle. 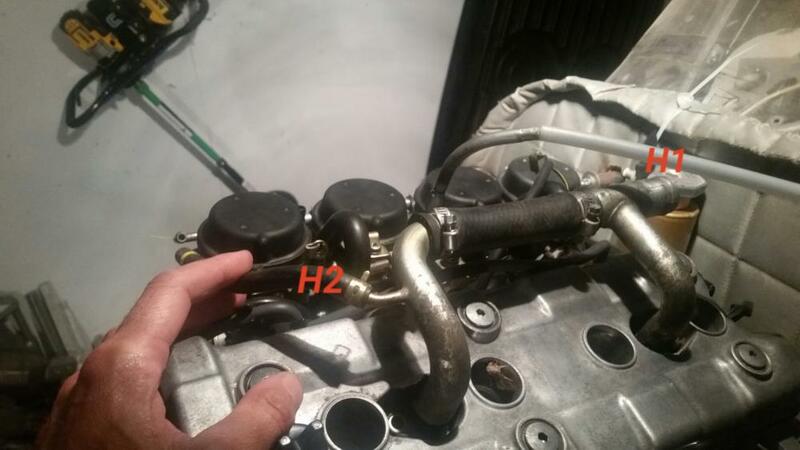 One other thing ive noticed on a number of RX1 carbs ifs that idle jet is opened up. Im not sure if by normal cleaning or drilled. The hole in the idle or pilot jet is tiny at 17.5 (1.75 mm or .007" in diameter). 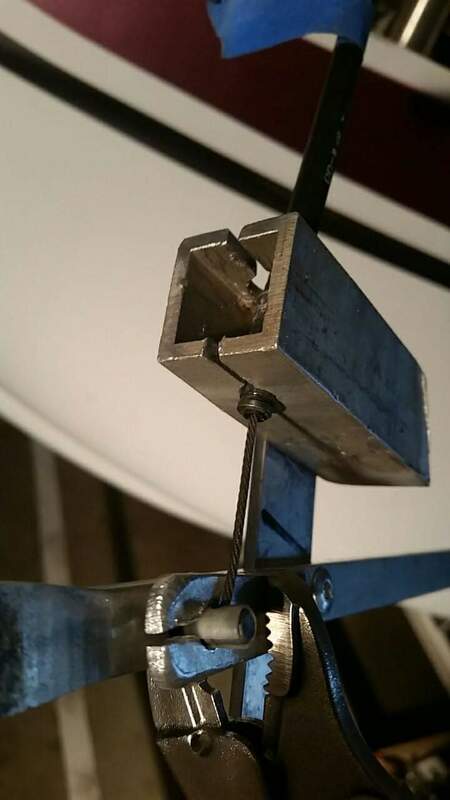 One way to tell is to measure the cleaning wire with a caliper and see how it fits in the jet. Ive found that running these engines with opened up pilot jets causes a slightly rougher transition to the midrange and doesnr idle as smooth. 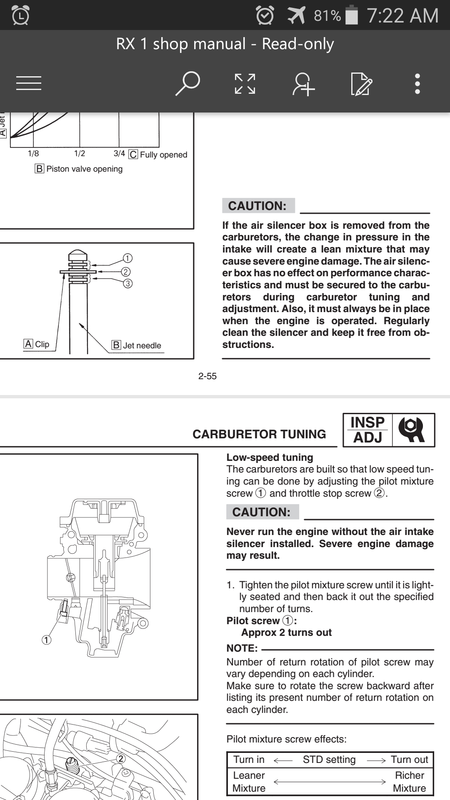 Also this jet doesnt have anything to do with what airbox your using because at what throttle position that these jets are being used at the slides are causing the correct back pressure. Unlike when the slides are opened up at higher throttle settings and there is a lot of air flow through the airbox. The Yamaha manuals call for a min octane of 86, and use of fuel with ethanol up to 10%. That ethanol content may not, however, be suitable in many aircraft fuel systems. As far as 100LL, the three main concerns are in lead contamination on the valves, O2 sensor (if equipped), and oil. The screenshots below are advice from members here about the lead problem, but it should be noted that no problems have been reported in occasional use of 100LL (when that is all that is available) from flyers of the Yamaha. Consensus here probably being: If you run avgas (100LL), do so sparingly and remove your O2 sensor when you do. If you run it more often, use the appropriate oil, plan oil changes more often, and use additives in the fuel that help reduce lead deposits. Running it exclusively is not advised, but no one has yet found the exact results in doing so. I'm gonna use the snowmo airbox carb boots and sleeve 2" pvc into them and then into r1 airbox. I'll need to use 2" CTS (copper tube size) PVC which has an OD of 2.1", which should be a nice snug fit in the carb boots. Standard 2" PVC has an OD of 2.37 and will not fit. 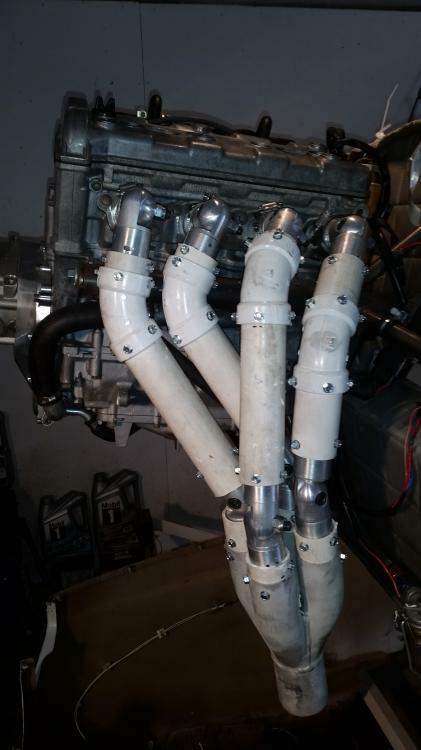 A little spin and flex of the carb boots should get the pvc lined up to slip in the airbox. Below are some pics and videos of my R1 airbox. (The second pic shows a comparison between the snowmo box (in front) and the R1 box I used. I had a great experience with an outfit here in MN helping me build headers for the Yamaha! 1. A totally custom header design. 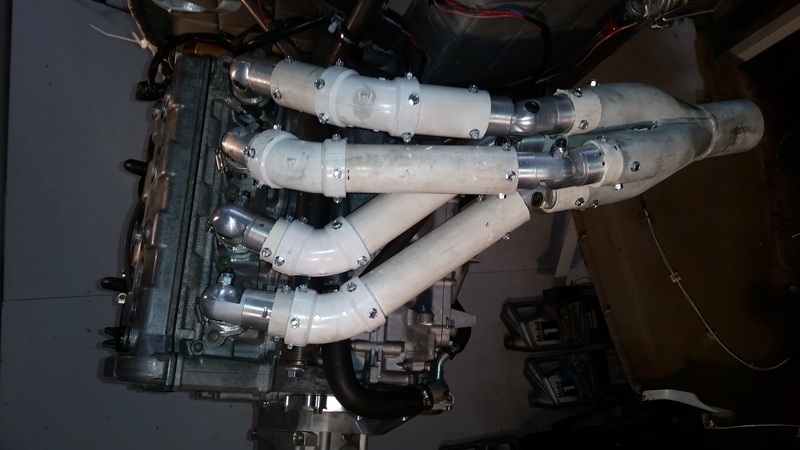 With the mock up kit you have virtually unlimited options as to the routing, design, and output of the header. The guys at the header shop have a lot more options than you can find at NAPA! 2. 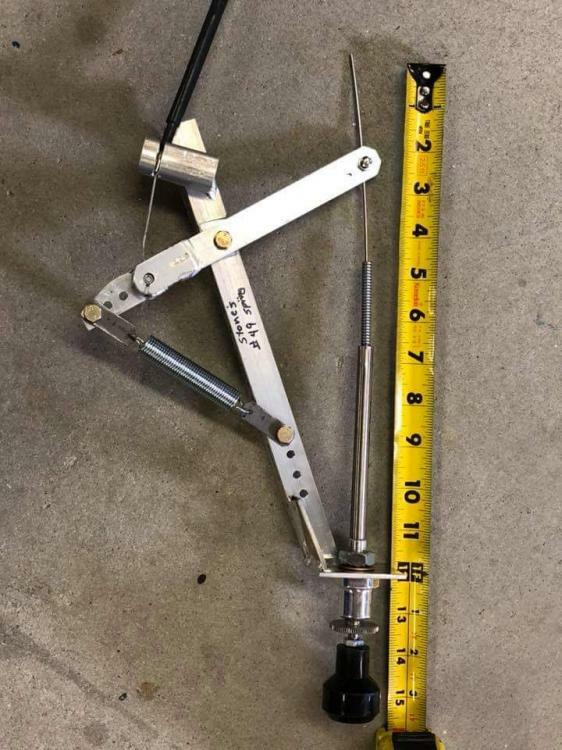 Professional fabrication. This guy does this exclusively... all day and every day. Top notch materials, processes, and weld quality will pay off down the road and is definitely worth a few extra bucks IMO. 3. Your choice of material. From mild steel, 304 sst, and 321 sst. Price estimates were approx $900 USD for mild steel, $1200 for 304 stainless and $1800 for 321. My build was out of 304 and came to $1240 (with everything included). Below I will post up some pics of my build with the GP mock up kit. Pic 1 is of my pvc mock up with the GP kit. It only took a few hours to make! Pic 3-5 are the finished product. 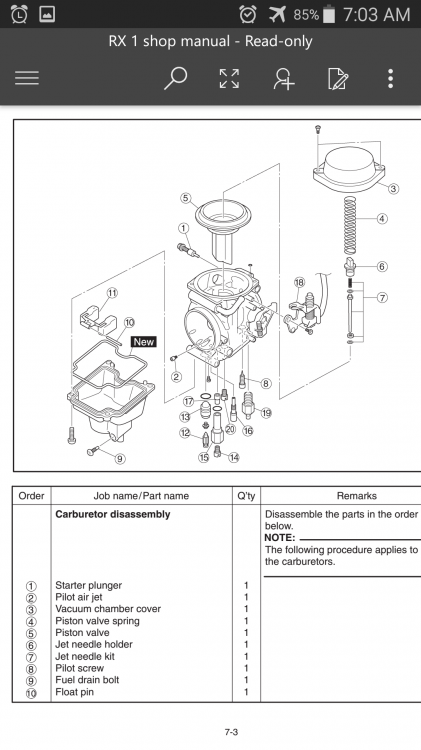 I wonder whether some exhaust shop with a talented guy and pipe bender could make up a set for the 4 cyl. using the mock up kit and flange. 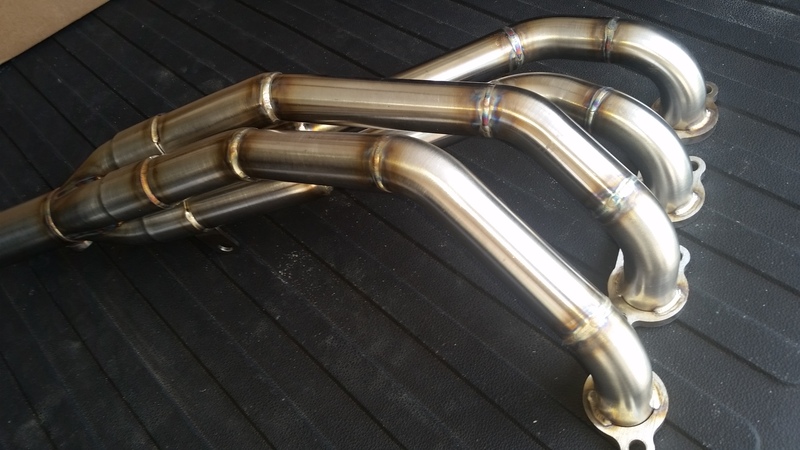 Wouldn't hp and tune benefit from smooth tubes into a collector vs. welded pieces? Yeah the internal tube has smoother transitions than what you see on the outside. And ideally that would be more of one piece formed tubes like you see when they do big production runs on something like motorcycle headers. But I suppose for a "one off" this is about as good as one can expect. I don't see your oil cooler location yet. The Yamaha oil cooler is integrated on the side of the engine next to the oil filter. 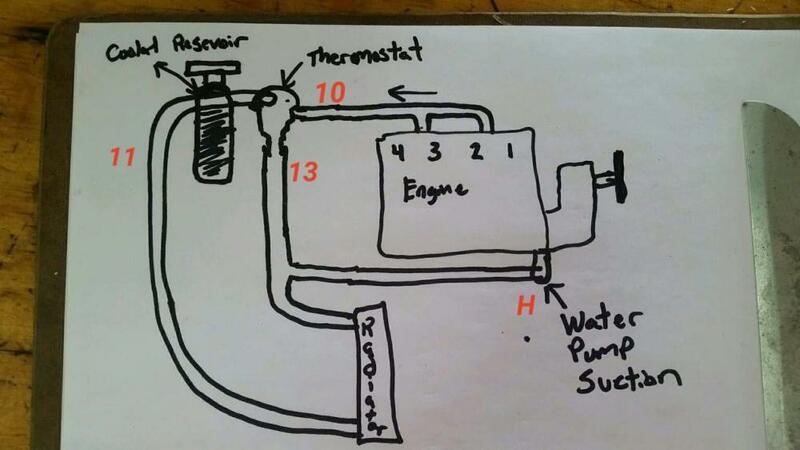 It routes engine coolant through it to do the primary cooling then oil also goes to the large remote tank where it is cooled further. So no addnl oil cooler like the 912. 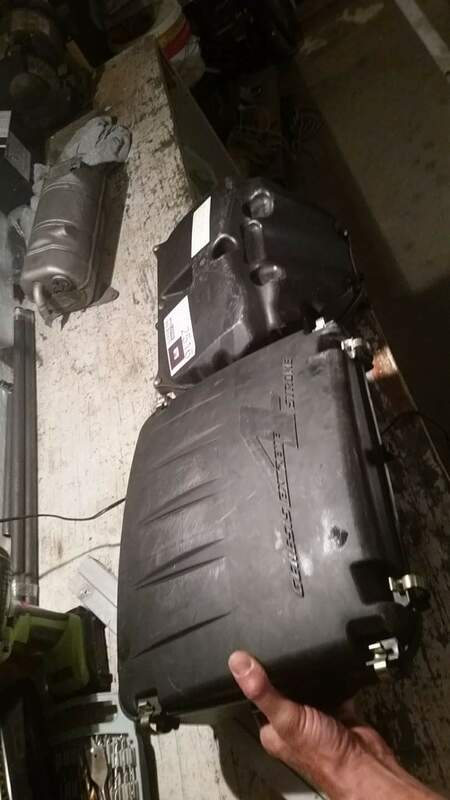 As for my external components, I'm putting the oil tank fwd of the header where ram air comes in the cowl, my belly radiator will likely get moved under the engine with an aux fan, voltage regulator + starter relay on the engine mount, and on the firewall I plan to mount the fuel pump and coolant tank. Behind the panel I have the ECU. Since the yamaha snowmobiles use a "pull" throttle, there is a need to reverse that to a "push" for aircraft use just like the 2 stroke Rotaxes. Yet another big thanks to Steve Henry for sharing his ingenuity. This time on his panel mount throttle reverser. Steve also sells these at a very reasonable price. When I counted my time, welding, and materials, I was none ahead in doing this myself, but was itching to work in the shop today and knocked this out. Pic with tape measurer is the one steve shared, other is my copy ready to send to the welder who will cut my throttle control hole and tig up 3 places. And YEAH, my "rivet in pivot" is temporary! 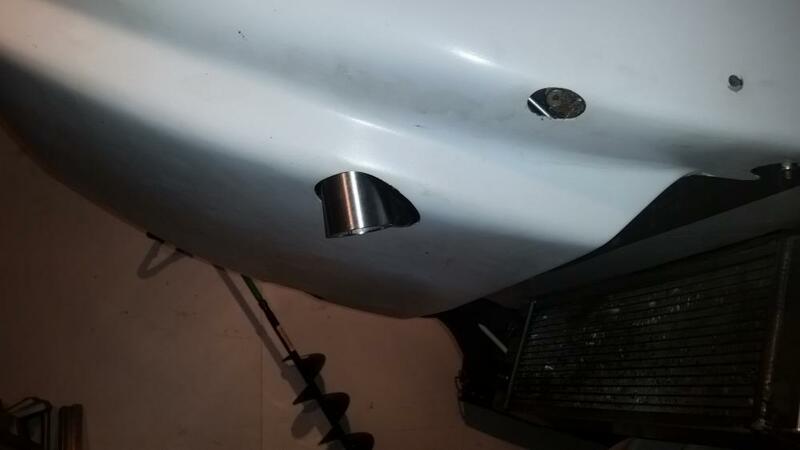 My throttle cable "cylinder " hole will get drilled through other half after welding (pic below). 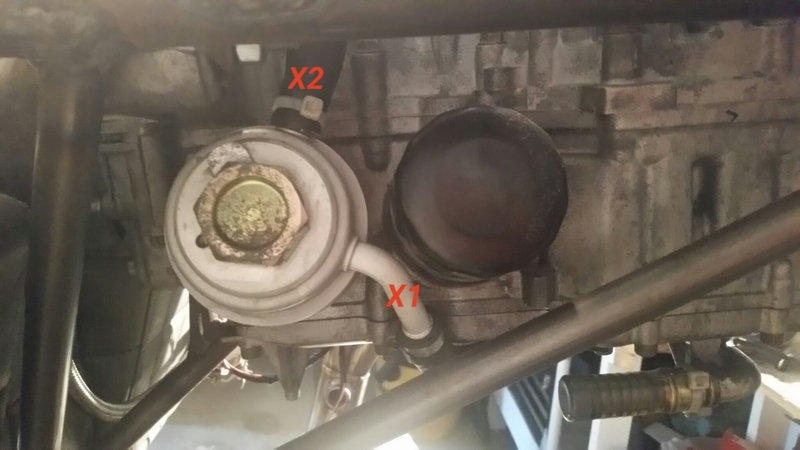 Also the spring in pic above is obviously there to balance out the throttle return spring on the carbs / throttle bodies. I got one at ACE hardware that was strong enough to naturally pull to about 3/4 throttle, which under some failure scenarios would leave me with some thrust in the air. Reference the pics below of the cooling system components where each port is labeled. 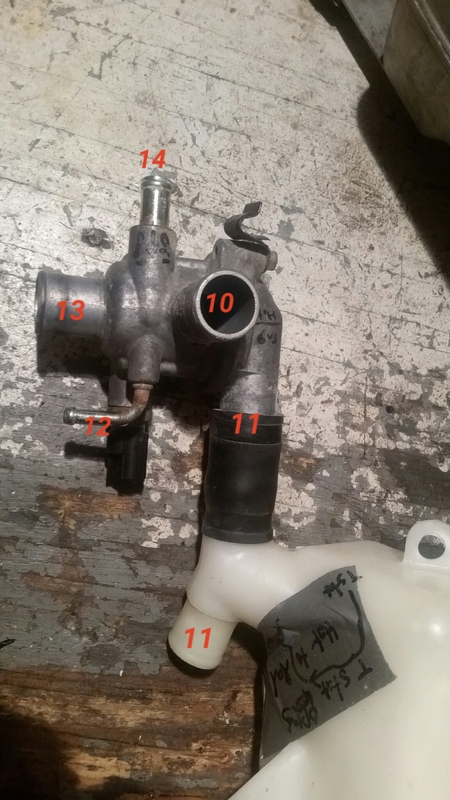 11 is Hot outlet off expansion tank (white tank in my pic) which goes to hot side radiator.